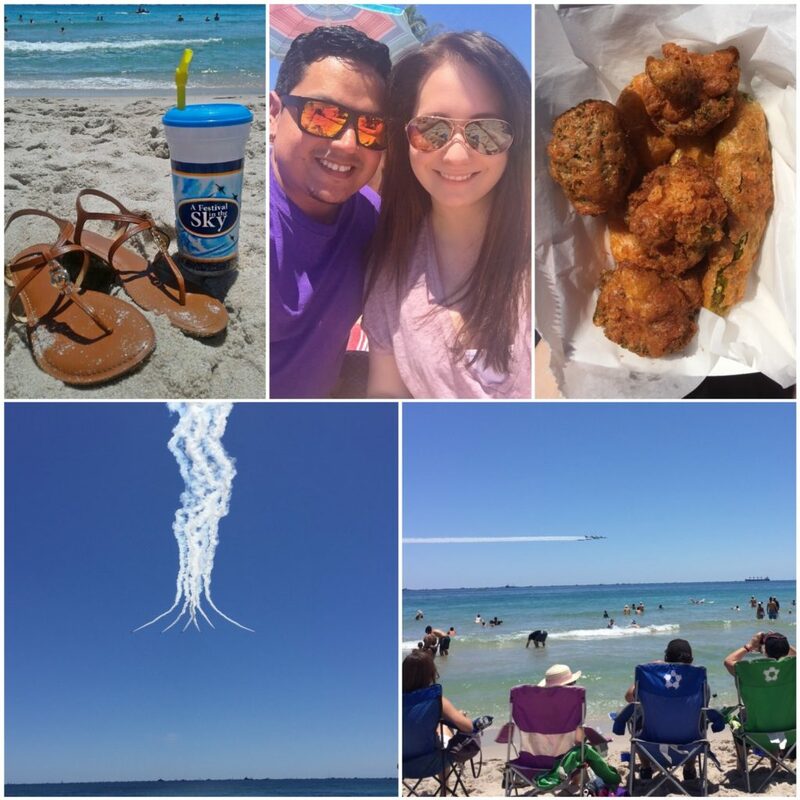 This blog post was sponsored by AT&T but the opinions are completely my own based on my experience at the Fort Lauderdale Airshow. It’s already starting to feel like summer here in South Florida. Without a cloud in the sky, the sun-kissed beaches are full of families and visitors ready to dig their toes into the sand. 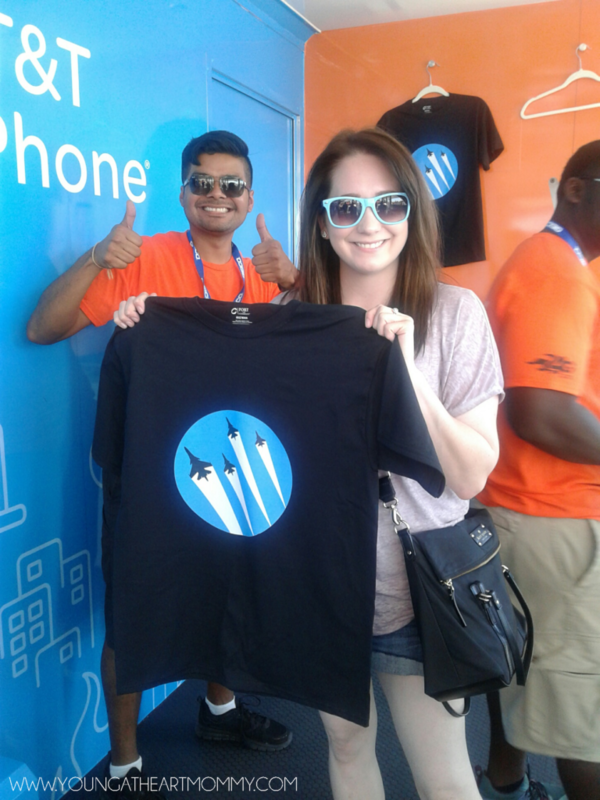 Last weekend I hung up my super-mom cape to bring out the sandals, shorts, and shades for a full day of fun in the sun with the #ATTGoPhone team at the Fort Lauderdale Airshow. After a two year hiatus, the Fort Lauderdale Airshow has finally returned to the beautiful sandy shores of South Florida. It’s been way too long! This past weekend the beach was packed with locals and tourists hoping to get a first hand look a the sky-high thrills. From the amazing aerial acrobatics to the crystal clear oceanfront, I was able to capture all the fun in the sun with my new AT&T GoPhone. With so much to see and many worthy moments to capture, I didn’t have to worry how much data I was using to share the excitement with my friends, family, and followers. Unlimited talk, text, and data gave me the freedom to tweet my little heart out! 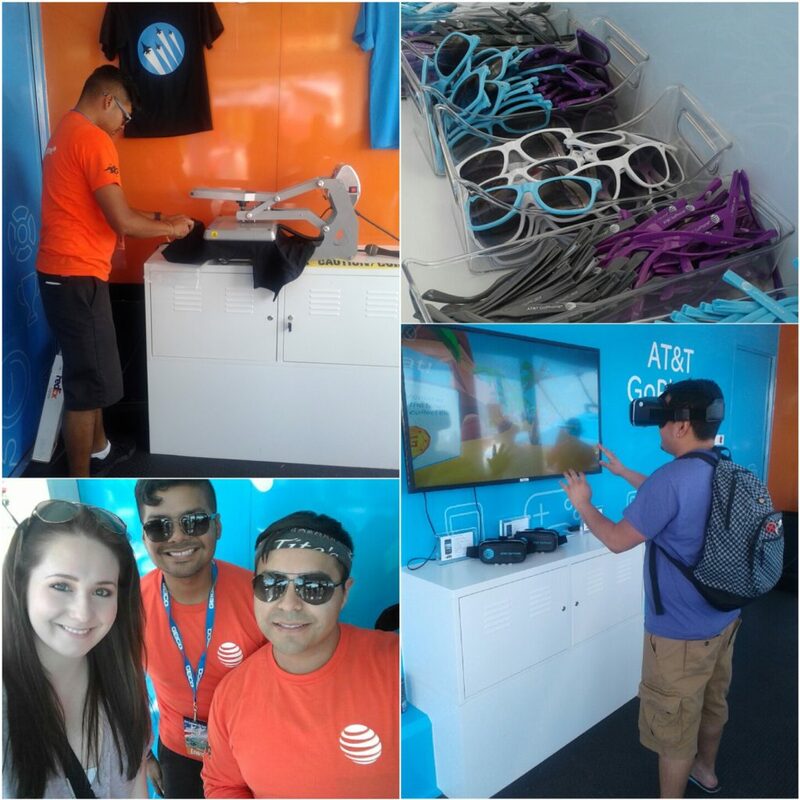 I was in the GoPhone groove and couldn’t wait to visit the AT&T booth as soon as I arrived to the show. Activating and setting up the AT&T GoPhone takes no time at all. Since it doesn’t require an annual contract, I have the ability to choose with monthly plan fits within my budget. As a blogger it is important that I have the capability to share photos, videos, and interact with my readers on the go. That’s why I went with the $45 monthly plan which grants me unlimited access to all of these features. After setting up the Samsung Galaxy Express Prime, I logged into my account and applied the credit. If you are an existing AT&T customer you can even install your SIM card and all of your previous data will transfer right on over. It’s super convenient and perfect for those that prefer “no-strings attached” rather than a commitment to one plan. Once my phone was ready to go, so was I! We headed out to the beach pretty early in order to beat the traffic and even then, the crowds were already forming. First stop? 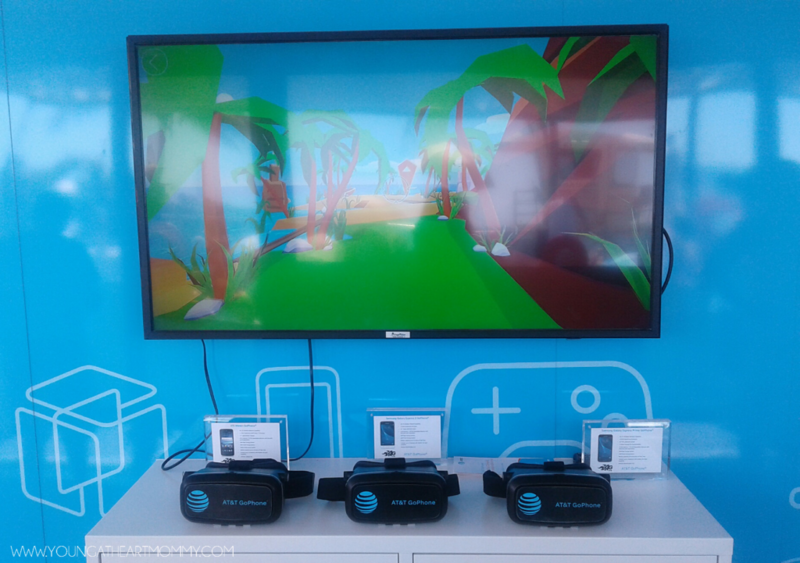 The AT&T GoPhone Booth for a first-hand virtual reality experience and goodies for visitors. 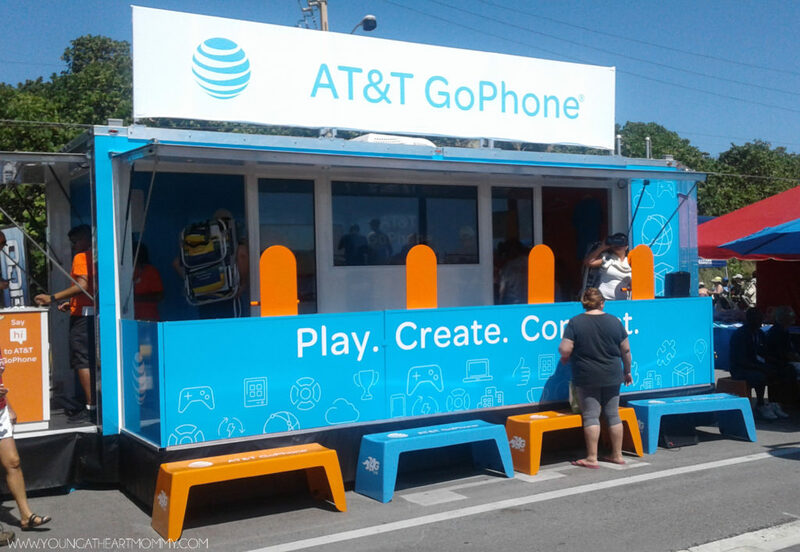 AT&T is hitting all of summer 2016’s best music, sports and family-friendly festivals to raise awareness of AT&T’s prepaid wireless service, GoPhone. 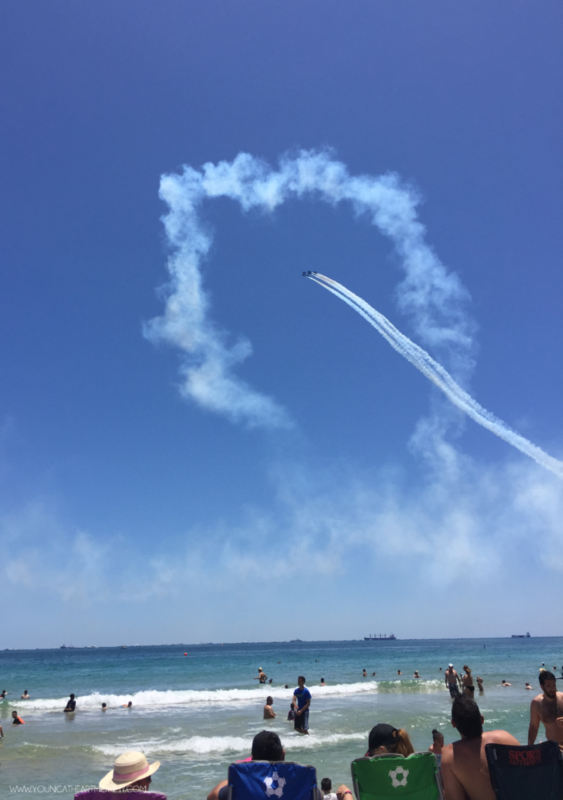 The Fort Lauderdale Airshow was just one of many destinations along the way. After a long day of selfies and snapshots, you could visit the AT&T GoPhone booth to recharge and connect. The team was also customizing t-shirts and giving out sunglasses. They are just as ready for summertime as I am! AT&T believes that Summer should be about making memories and living in the moment, not on your monthly wireless bills. This is why they choose to offer great smartphones at exceptional prices to make it affordable for everyone to have the latest GoPhone. From delicious food vendors to the show in the sky, my GoPhone made it easy to snap and save each moment I wanted to look back on. Just look at that basket full of fried broccoli and pickles. If you’ve never had a vegetable coated in a crunchy seasoned batter then you’re missing out! 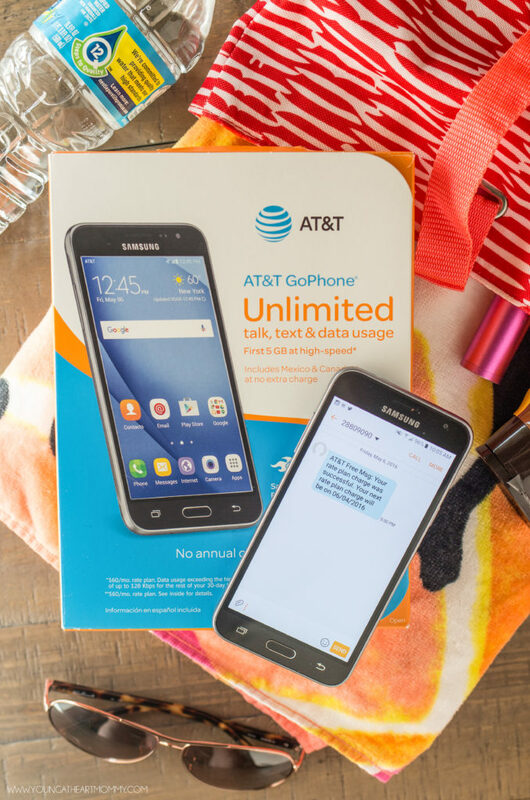 Have big plans this summer and are considering making the switch to an AT&T GoPhone? Here are five reasons why it’s the best choice for you! 4G/LTE Network: GoPhone service is on AT&T’s 4G LTE network, reaching more than 300 million people, making it easy to stay connected with friends and family. No Annual Contract or Credit Check: GoPhone customers have the flexibility to choose a plan that fits their needs and change their plan whenever they choose. Smartphones: You can choose from the latest 4G LTE Android smartphones at affordable prices, including Samsung & LG. BYOD ‘Bring Your Own Device’: GoPhone is compatible with most phones, including iPhones, giving new and current AT&T customers the ability to easily activate their current device on GoPhone. Rate Plans: AT&T GoPhone monthly rate plans offer great value for smartphone and basic/quick messaging phone customers. Ready to capture summer fun moments? Enter below and you could win a Go Phone-compatible 4G LTE smartphone and a $45 AT&T GoPhone refill card. The refill card includes unlimited talk & text nationwide and data usage with the first 2 GB at high-speed for the month. No Purchase Necessary. Ends May 23, 2016 at 11:59 PM EST. Subject to complete Official Rules. All entries will be verified. We have an airshow in Wisconsin and I would take it there! The Apple iPhone 5S is my favorite! the lg g4 is nice. the pending family reunion would be a great for photos with it. I'd take lots of pictures of my kids and pets...every moment is special! I'll be taking pics of my trip to the coast. I really like the Apple iPhone 5s. I'll be taking photos at the beach! My favorite GoPhone is the Apple iPhone SE. I want to capture my family camping trip this summer. I like the Apple iPhone 5s. My daughter is finally getting big enough to go out more and I need a phone that can take pictures of our family trips. I would use at family reunion to share family pictures! I would take pictures of my summer road trip along the Gulf Coast. I would choose the Apple iPhone 5s - 16GB $199.99 with the Purchase of $45 Airtime Card . I'd take pictures of my Granddaughters! Babushka will be taking plenty of pics of The Grands! Gracias for the giveaway. ZTE ZMAX 2 GoPhone for BB! I love the Apple iPhone 5s. I want to take photos of all the flowers in the garden while they're in bloom. I would take photos of my mom who is 97 years old and then I would have my daughter, 5 grandchildren in a photo. I would love to capture the upcoming moment of when I get to see my son, daughter in law, and 2 year old granddaughter who are military and I haven't seen in a year come July. I love this phone and the Apple IPhone 5S. I love love love the Apple iPhone 6s! I Would Love To Capture Memories At The Park, Family BBQ'S And 4th Of July Festivities! The LG Phoenix 2 GoPhone Is My Favorite Go Phone Model. I would capture memories of us (kids and hubby) going to Cedar Point this summer! I would use it to capture random moments out with the kids. Some of my best pics were taken tbat way. i am planning o capturing my daughters pre k graduation next month! My trip to Erie this summer. The Samsung Galaxy Express Prime. Mountain trails & LG G4 GoPhone. I want to capture all our favorite memories this summer especially when we go camping in July. I plan to capture pics of my grandkids. I absolutely am in love with the LG G4! It looks like a great phone for taking pics. I would love to take it to Busch Gardens. AppleiPhone 5s is my favorite. I would capture memories of my kids at the amusement park. I like the Samsung Galaxy Express Prime GoPhone. I would capture pictures of my family! Those are are the ones that are truly irreplaceable! The Apple iPhone SE GoPhone would be perfect for me! I need a smaller-sized phone than the usual, and this fits my hands just right. How cool! I would capture the two graduations I have this year. My favorite phone is the Apple iPhone SE in Rose Gold. I would capture the memorable moments with my grandkids who will be here this summer as well as when we go to the lake cabin. My favorite phone would be the Samsung Galaxy Express Prime. I'm excited to capture some beach moments this summer with a new phone! My oldest son needs to upgrade his phone so the 5 would be a nice option. We have alot of traveling that we will want to capture. My favorite Go phone is the Apple iPhone 6 -16GB - GoPhone. I love the iPhone 5s! I would love to use it while camping. I like the iPhone 5s. We are doing a girls trip to the Gilroy Garlic Festival this summer, I'm sure that will involve tons of pictures! I'd like the Samsung Galaxy S6. I would love the Samsung Galaxy Express Prime GoPhone! Thanks again! The iPhone 5s is my favorite. I plan to capture memories of my daughter's wedding that will be happening in the near future and I don't want to miss anything! I would choose the Apple iPhone5S,these are so fancy and can do so many things,and such great quality! I would love to use this phone to capture family road trip moments! I am pregnant and I totally wanna capture all of my memories of being pregnant. Not to forget the birth of my lil angel. I really love the Samsung Galaxy S7. It has all the best features any busy mom needs. Our annual family fireworks show and cookout on the 4th of July. I like all the features on the IPhone 5s. Meeting my first nephew this summer!!! I’ve been browsing online greater than three hours today, but I by no means found any attention-grabbing article like yours. It’s beautiful price enough for me. Personally, if all webmasters and bloggers made excellent content material as you did, the web will be a lot more useful than ever before. I would take pictures during next camping trip. I like the LG G4 and the Samsung Galaxy S6. Our youngest (of 6 ) is graduating. I can't wait to take tons of pictures. One of the moments would be of my dogs running around the dog park. We're going to local theme parks and concerts this summer so I'm hoping to capture lots of photos from each of them. My favorite is the Samsung Galaxy Express Prime GoPhone. I would capture our vacation this year. I would love the iphone 5s. I'm having my first little one this summer so I'd take pics of the adventures of motherhood.